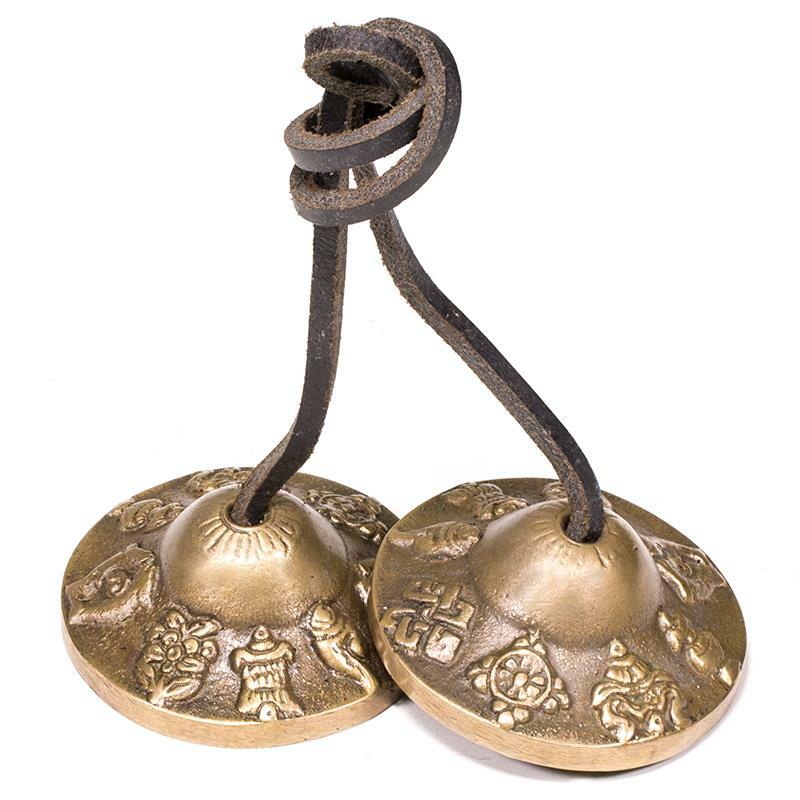 Tingshas (ding-shas, cymbals) are used as musical offerings in spiritual practices, en during meditation practice, at regular intervals, in order to maintain concentration. “Musical offerings” are common in puja (praying rituals) and a number of instruments are used: bells, drums, cymbals and horns. Musical offerings are indeed standard in many Tibetan Buddhist and Hindi rituals. Today they are used by these and lay people alike. They are used with Feng Shui, meditation, cleansing, healing and alignment. As with many altar offerings, we recommend placing them wrapped in cloth when not in use, or in the special tingsha brocade holder with two compartments (cloth). The casting may include decoration of the upper surfaces - usually depicting dragons, the mantra "Om Mani Padme Hum", the Tibetan eight auspicious symbols or just plain. Each tingsha is individually sand cast of a variety of metals, typically from a minimum of three. Most cymbals are made of bronze, consisting of copper and tin primarily, with small amounts of nickel occasionally added. Superior tingshas are made of seven (7) or more (up to 12) metal bell alloys, producing a powerful harmonic resonance when played.